The classic rake-back chair has never felt more at home. 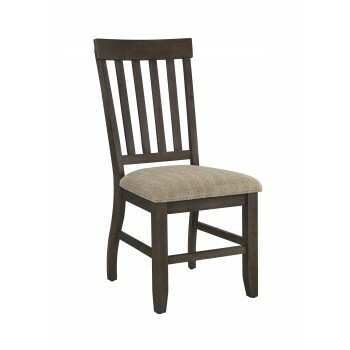 Its quality wood frame is "dressed down” care of a gently distressed finish with a touch of gray for weathered charm. Curvaceous back leg design is a cool twist. Plush cushioned seat’s neutral, textured fabric is warm and wonderfully versatile.